July is the month that marks both the birth and death of famous Mexican painter, Frida Kahlo. I thought it would be fitting to make something in her honor to spread inspiration! 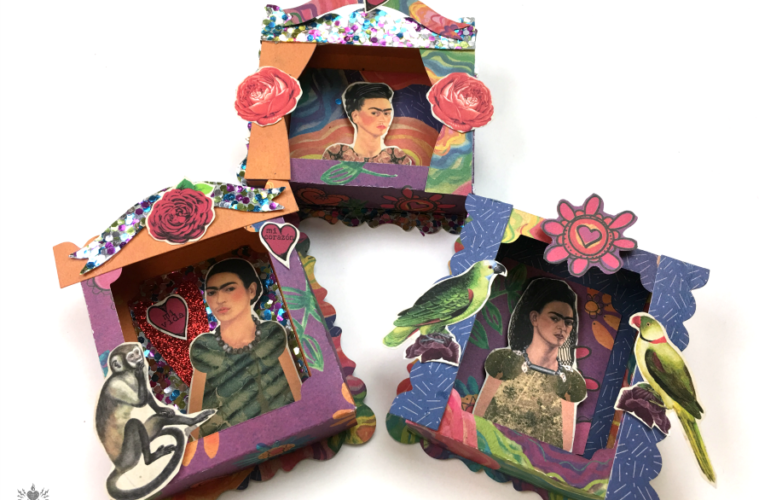 These shadow boxes are a perfect way to do that! Between the papers, the collage sheet and the die design, the mixing and matching was endless. I included links to all the supplies I used, you’ll want to use them for a lot of other projects all year round. 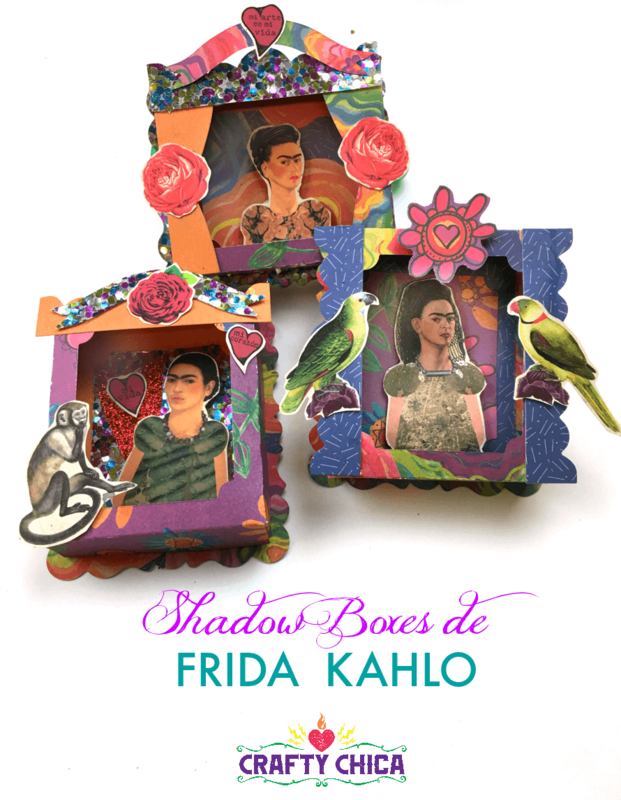 For now, it’s all about FRIDA! Here’s a video tutorial I made for you! 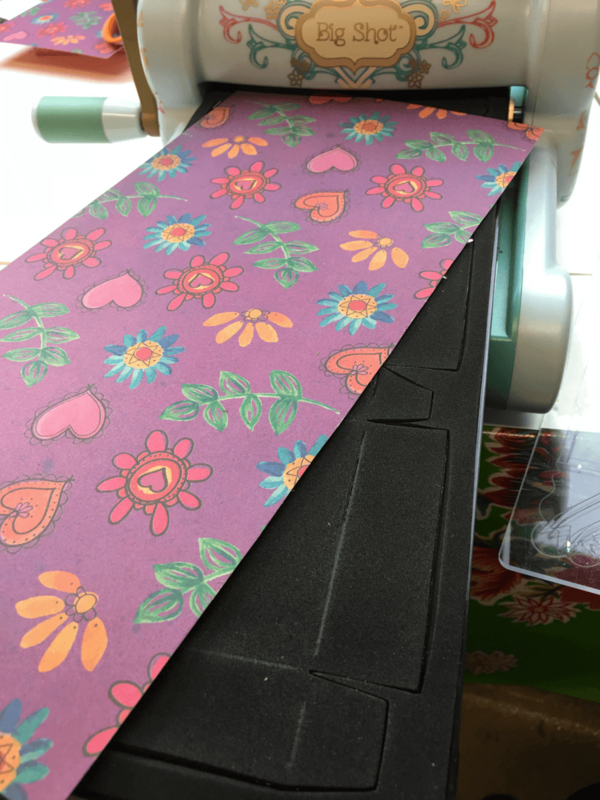 Cut the 12×12 sheets in half and place the paper on top of the die, add the clear pads on the top and bottom and run through the machine. Side note – this paper is gorgeous and amazing! 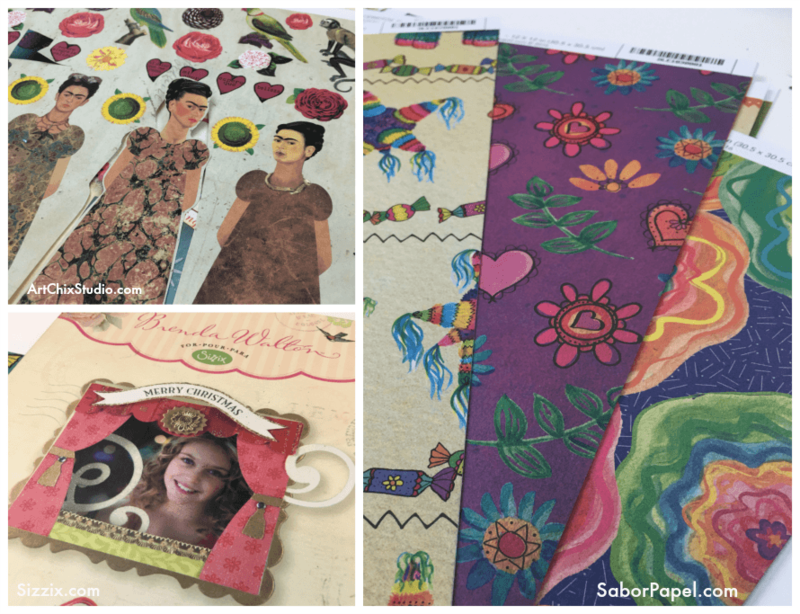 It’s from a new company called Sabor Papel! I’ve been wanting to make stuff with it and I finally had the chance! Check out their web site to see all the offerings! And their blog – they always have beautiful new projects and ideas! 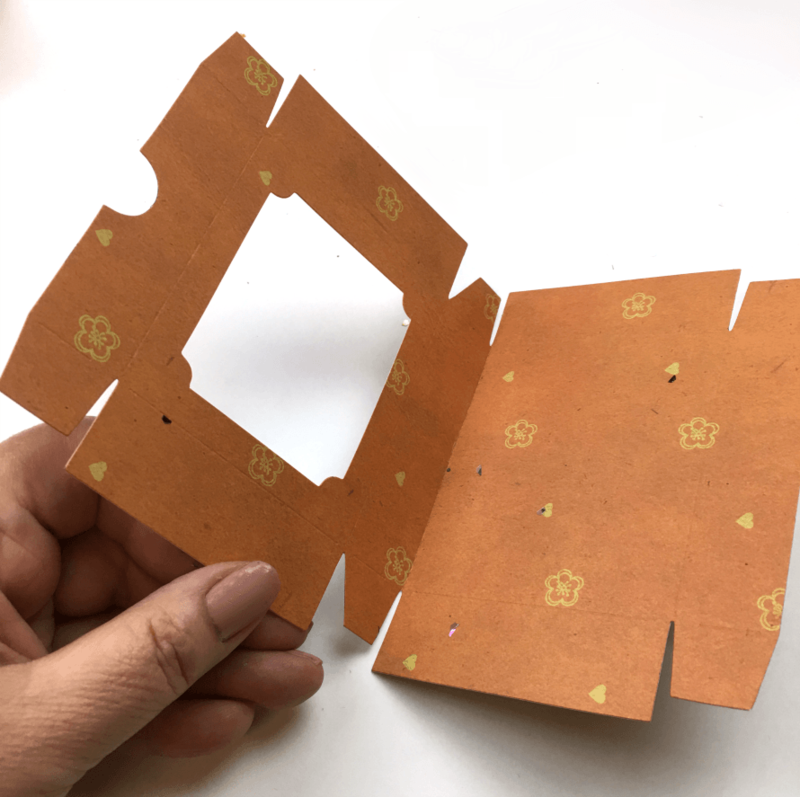 Assemble your box by folding on the creases and glue the flaps. Cut out the designs from the collage sheet. Layer everything in one by one! Check out the video for the step-by-step process! 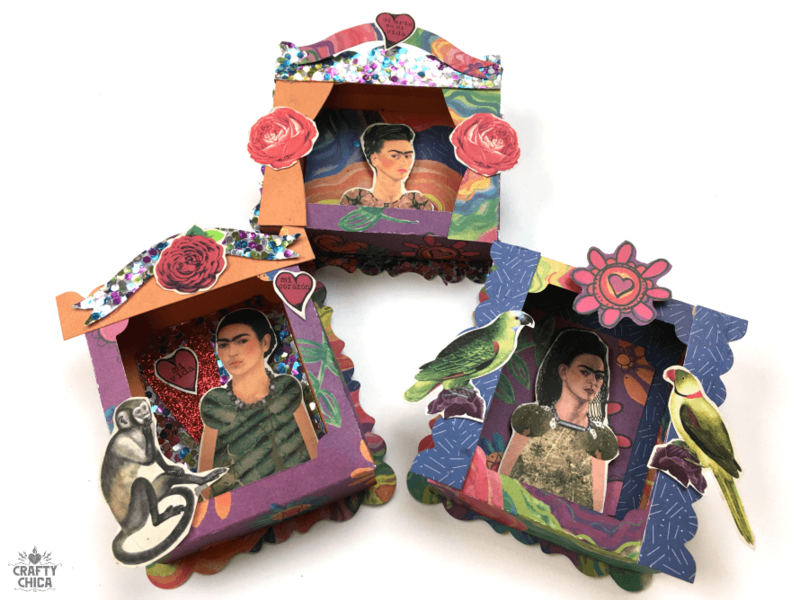 If you liked this project and want another idea, my friend, Rina from MothershipScrapbookGal.com made some fabulous card kits using Sabor Papel papers and Frida’s quotes! Here’s the link! Thanks for checking out my project! Happy crafting!